BRANDON, MB – An award-winning national leader in music education will be the keynote speaker at the annual Da Capo Conference on January 18 at Brandon University. Mark Reid, Fine Arts Department Head at Vancouver Technical Secondary School, is president of the Canadian Music Educators Association, creative director and founder of Carpe Ictus Music, and recent winner of the MusiCounts Teacher of the Year Award, a subdivision of the Juno Awards. Reid joins a stellar lineup of speakers and facilitators at this year’s Da Capo Conference, an all-day workshop of professional development opportunities for music educators presented by the Brandon University Student Music Educators Association (BUSMEA). Sessions include challenging your percussionists, rehearsal techniques in choral conducting, a leadership roundtable, concepts of conducting, sound and light system basics, vocal production techniques, and Aboriginal perspectives in music. 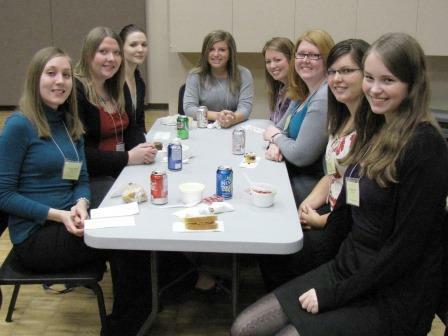 Previous Da Capo Conferences have drawn participants from Manitoba, Saskatchewan, and the US. Dodds says all music educators, music education students, music administrators, and education students are welcome to attend. Walk-ups are accepted. BUSMEA is an organization of music education students offering professional development opportunities to members through workshops and other related events.